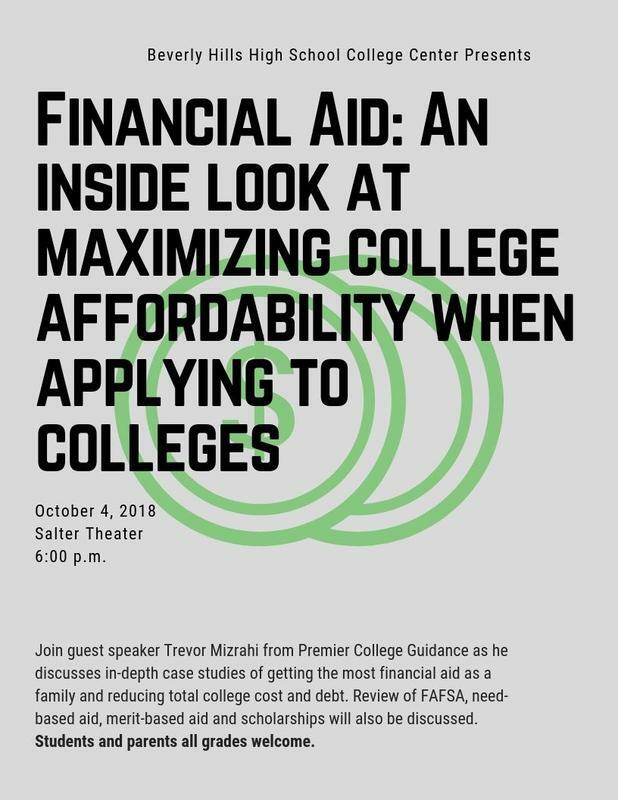 Join the College Center and our guest speaker as we discusses in-depth case studies of getting the most financial aid as a family and reducing total college cost and debt. Review of FAFSA, need-based aid, merit-based aid and scholarships will also be discussed. Students and parents all grades welcome.